Maximize the Impact Experience as a Team to grow your program. Click here for a Team Training PDF Brochure. We are very proud of our excellent reputation for training teams like your from around the world as you prepare for upcoming events, seasons, or tournament competition. It is with great honor that we help your team to be at its very best through our comprehensive training and team-building program. 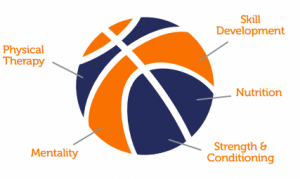 Your players will have the chance to train together in a focused environment with demanding on-court offensive and defensive skill training along with intense off-court strength and conditioning training. Our experienced staff will provide your team with a truly unique bonding experience through training and competition, as well as off-court team building activities. 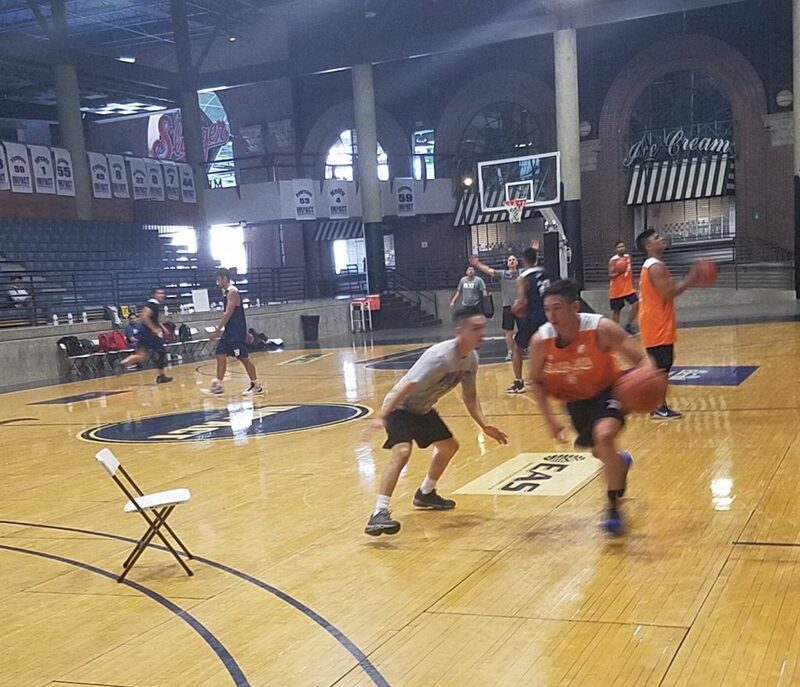 Designated team practice times and live games against high-level American players, including NBA players (when available), provide teams with an opportunity to prepare for their upcoming competition while also developing individually. Your team’s program will be completely customized to fit your schedule, with direct consultation from the team’s coaching staff and management. We will integrate any and all concepts that the coaching staff would like to implement and focus the training on areas that the team’s coaches have deemed deficient. Our incorporation of off-site training and team-building exercises make this a one-of-a-kind opportunity for team and individual development. The Impact staff can help set up all the housing, food, and transportation needs for the team. The Impact Team Training Program is available at any time, for any duration, for any amount of players. We have been enhancing and extending the careers of professional basketball players for over 2 decades through these methods. We have established a consistent and very effective program that allows players the chance to address weaknesses in their games and bodies, work daily on improving them, and the ability to play competitive games with referees against high caliber players. 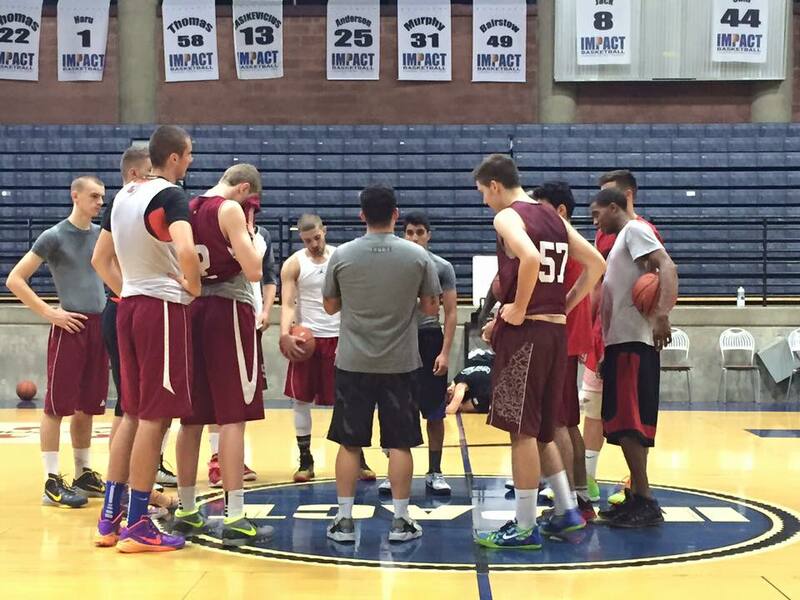 You will get a fully-integrated and world-class training system for your players. Our sole intention is to deliver the absolute best basketball training program in the world to your team in a professional, exclusive environment, to both enhance basketball skills and the team’s abilities. The team’s coaches are strongly encouraged to give as much input as they would like.Our goal is simply to make the players better at what the coaches need them to do. Together, we'll create your customized plan for the team making sure that the end result is players that are vastly improved in all areas, more confident and mentally stronger, and ready to compete. While the training will focus on individual improvement for each player, it will be built in the context of what the team needs that player to do to become a better team next season. The key will be the ability to analyze every aspect of the player’s body, game, and overall results of his recent season to identify EXACTLY what needs to be done to improve. The daily schedules can be customized to fit the needs of each player, but the overall structure remains consistent. The results of our training program are best when combined with specific and regular rest/recovery dates, ideally every 3rd day with 1 complete day off per week (usually Sunday). With the team’s schedule in mind, the players will be pushed to their physical limits while not compromising health or unnecessarily risking injury. On-court drills focusing in on the basics of ball-handling and advancing to high intensity and high level drills to create more control with the ball. 3 Essential Drill Styles: Stationary, Dynamic, Combination B. Shooting Instructional drills detailing the fundamentals of shooting to improve shooting for every player, in every situation. Instructional drills focusing on creating more dangerous offensive players in every aspect. Assess joint function & mobility and core muscular stability which will help to determine mechanical limitations,overcompensations and leaks of power. The information will enable the development of a training program that addresses specific structural deficiencies or areas of concern and set a plan of corrective exercise. It will also ensure that as we push hard through the training program, we can make sure players stay healthy and are at 100% the entire time to maximize the training. Through a variation of conditioning training methods, we will improve each player’s cardiovascular capacity. 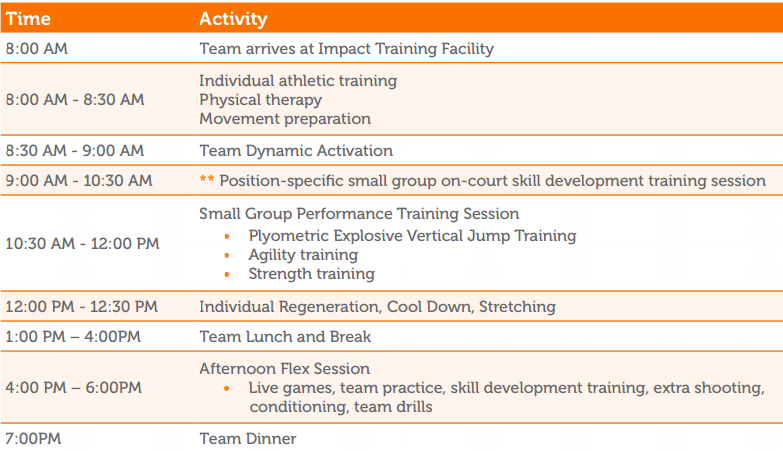 Contact Impact Today for more information about Team Training options. Would you rather bring Impact to your team or country? Check out our Remote Mini Camp Training.